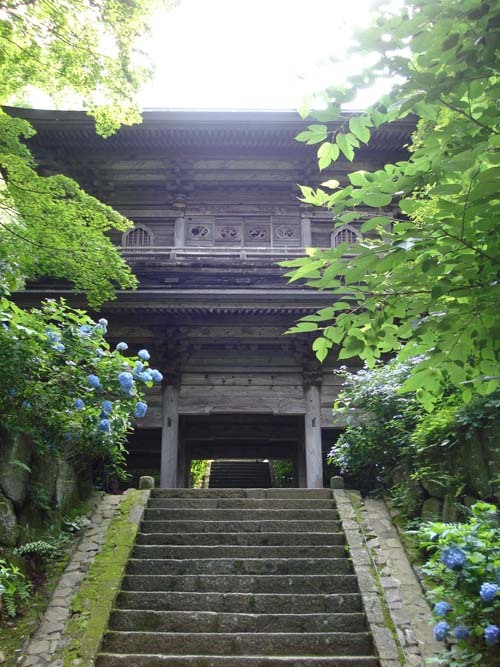 "Kaizan, a temple of the Soto school of Zen Buddhism from 1309. It started under the Tendai school which later declined, but underwent a revival after the Kasuisai Temple in Totomi Province reenshrined a spirit there, updating it to the religion of the day. The temple became a facet of the region, establishing religious schools during the Edo period and opening the Sukawa Elementary School on its grounds in 1873. It also houses a temple gate, main hall, bell tower, and priest's quarters. The gate and hall, constructed over the course of the late Muromachi to the early Edo period, are designated Prefectural Cultural Properties."